Where is the hinged cover from? I got it at Home Depot. I can’t seem to find a link on the website, but it’s with the electrical stuff in the store. This is genius 😀 – Why did they have to go and re-invent the light switch. 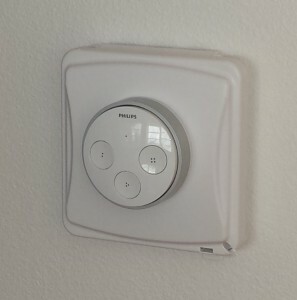 I just purchased a Tap to see if we can start using that instead of the wall switches. We haven’t been able to break our habit of using the wall switches vs using our phones.. 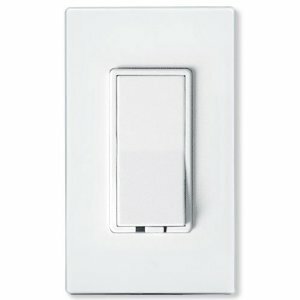 But I’d love to see a simple replacement to the wall switches that is compatible with the Hue lights!